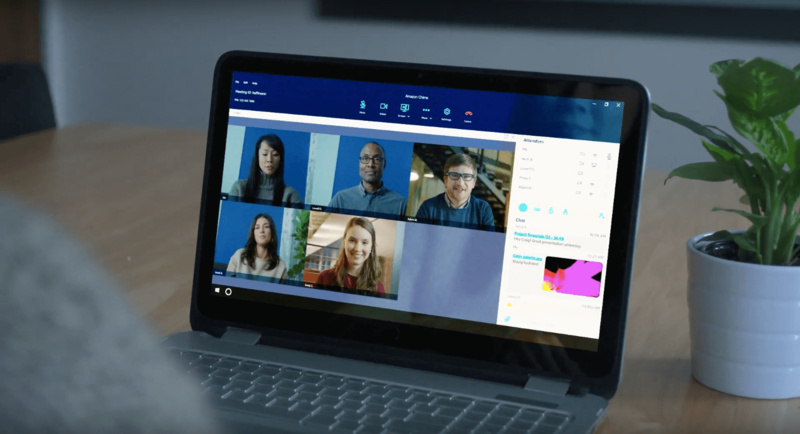 On Tuesday, Amazon announced it’s new Chime service which it plans to use to take on other video conferencing software including Skype. The new service from Amazon is available on all popular platforms including Windows, Android, macOS and iOS but has no killer features which would make it stand out against competition. Amazon promises that Chime will offer “crystal clear audio and high-definition audio” as well as stability since it runs on the AWS backend. Despite the positive press, it is unclear how Amazon Chime will compete against established solutions such as Microsoft’s Skype for business and Google’s G-Suite. Amazon offers very limited business and corporate packages, an area that Microsoft has dominated in for over two decades. Given the current lack of integration with other business suites it is unclear how Amazon will be able to penetrate a market with abnormally large costs of switching. Unless Amazon target start-ups or organisations looking to restructure their technology and communications it could prove to be a rocky road ahead.